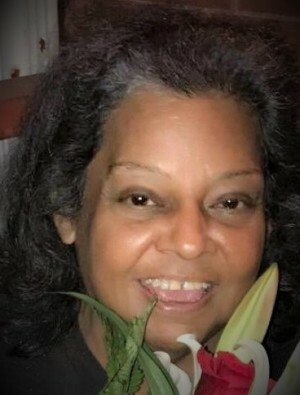 Mary Ramos age 61 of Chicago,IL was called by the lord Tuesday October 30, 2018. She was the loving mother of Jahmilla and Jahnelle Mullins. Mary was born on December 23, 1956 in Chicago, IL. The daughter of the late Frank and Carmel Ramos and has lived in Chicago, IL most of her life. In addition to her daughters, Mary is survived by a sister, Alice Dobles (Luis), five grandkids who she adored, Jasmin, Valerie, Valerio Jr, Frank Jr and Rolando. She was also predeceased by her brother Frank Ramos Jr. She is also survived by 2 nieces and 4 nephews and 9 great nephew and nieces. Mary’s family will receive family and friends on November 3rd, 2018. Per her wishes she will be cremated.